New video pays tribute to the impact of the Swiss auteur's early works. Following his 1960 debut, Breathless, critic turned filmmaker Jean-Luc Godard came out of the traps running with a staggeringly prolific run of movies over the course of the 1960s, a decade which began with Godard exploring his love of American genre cinema and ended with him plunging into the radical politics of the time. 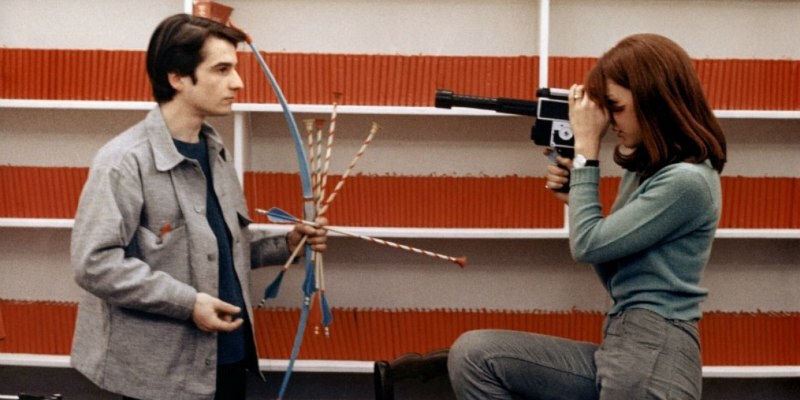 A new video essay by The Discarded Image takes a loving look at the 1960s, as seen through Godard's lens.